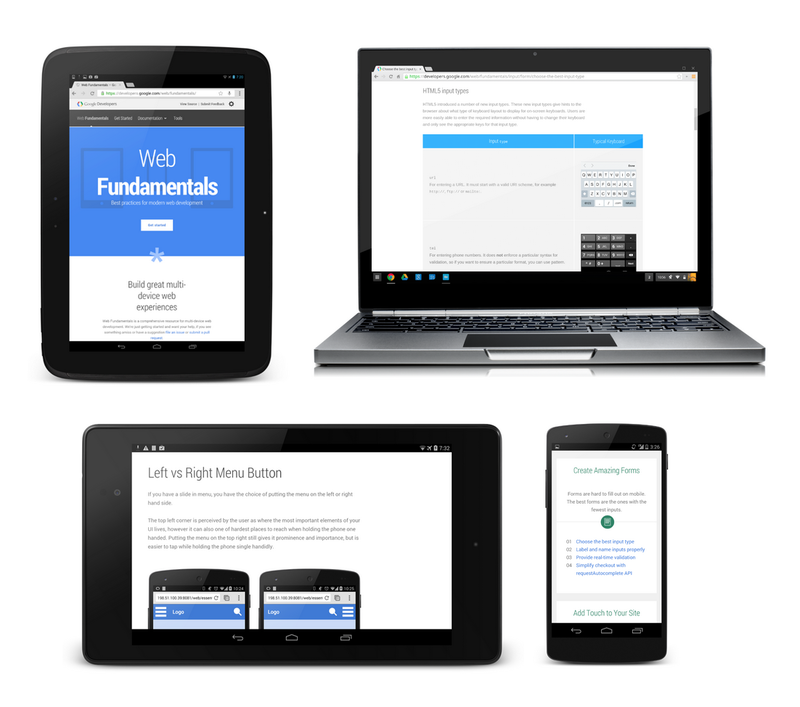 For a long time now, Google has offered developers a set of what it believes are best practices for modern web development. Today it is going beyond just providing this information by launching the Web Starter Kit, a boilerplate kit similar to HTML5 Boilerplate that includes templates and tooling for getting multi-screen web apps up and running quickly. Google says the templates are optimized for performance and responsive layouts to help developers quickly write multi-device web experiences. It essentially implements the recommendations Google has been giving developers already and packages them into actual code with the necessary tooling to get apps off the ground fast. The Starter Kit, it is worth noting, assumes that you have Node, Ruby, the Ruby Sass gem and Gulp.js, a streaming build system, installed on your system. Using Gulp — which is optional — also enables developers to make use of features like LiveReload, automatic image optimization and HTML minification. Besides the latest version of Chrome, the Starter Kit also supports most other modern browsers, including IE10 and 11, Firefox 30 and 31, as well as most popular mobile browsers. While there is some overlap with projects like Bootstrap or ZURB’s Foundation, Google makes it pretty easy to use the Starter Kit with the styles from those projects, too. Unlike those projects, Google doesn’t offer many UI elements and other components. It’s unclear if Google plans to add those at a later stage, but as Google engineer Addy Osmani notes on Hacker News today, the idea isn’t to compete with Bootstrap in terms of UI components. He also argues that Bootstrap, Foundation and similar libraries are “a great start for prototyping your apps, but one of the biggest challenges with them is that it’s (almost too) easy to get stuck using their styles, look and feel for the lifetime of your application.” Unlike these projects, Web Starter Kit wants to encourage developers to change the base styles to suit their own apps. Just like Bootstrap and Foundation, though, Starter Kit focuses on layouts that offer a fluid grid, though Google’s solution feels a bit more flexible. The project is officially in beta now. It’s a bit surprising that Google would release this tool only a week ahead of its I/O developer conference in San Francisco, but maybe the company wants to give attendees some time to familiarize themselves with it before running sessions about it at the event.